Historically, the death of a partner was the major cause of single parenting. 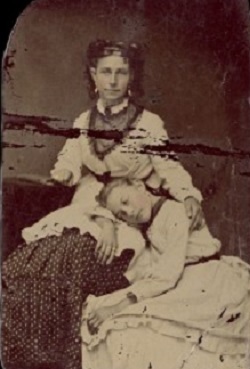 So, at a time when the average woman had eight or nine children, it’s not surprising that the Civil War created many single widows and pregnant widows on both sides. Some women were single parents because they had children out of wedlock. On the frontier, it wasn’t unusual for couples to live together as man and wife without a proper or official wedding. Pioneer couples sometimes lived together for years and had several children before a justice of the peace or a preacher could be found to legally marry them. Some widows worked in the sewing trade or as domestics or washerwomen. A few had already been involved in small shops, and some used their dower, inheritance, or insurance policies to set up a shop, saloon, or boardinghouse. Children were the most valuable asset of a widow, and they were more likely to work and to stay at home through their teens and twenties than in father-headed families. Single moms helped make ends meet in other ways such as sharing housing with other families, raising animals, or selling products on the streets. For unmarried mothers, unskilled wage work in domestic service or as wet nurses was usually their only option for survival. In many of these jobs, the mothers had to care for other womens’ children while these same jobs made it difficult for them to raise their own kids. Many women who’d been raped or taken advantage of by their lovers had to turn to prostitution to support themselves and their children. A woman’s reputation was a delicate matter. Having a child outside of marriage was considered shameful and the children had to deal with the stigma of their illegitimate birth status. In the 19th century, it was widely held that children born out of wedlock posed significant social and public health problems. Desperate families often hid the pregnancy and arranged a quick marriage with another man, either hoping to secretly pass the baby off as his or to bribe him with a good size dowry or payoff to keep him quiet about it. The girl would visit a distant “relative” in another community where she could give birth to her child and give it up. Or she’d go to a home for unwed mothers. Sometimes the young woman would be allowed to return home and her child would be raised by her parents as one of her siblings. Often, she was banished, forced to live apart from family and community. Adoption wasn’t a very good alternative. 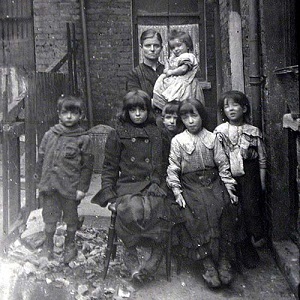 In the mid-1800s, there were 30,000 homeless children living on the streets of New York City, and there were no reliable foster care or orphan asylums. 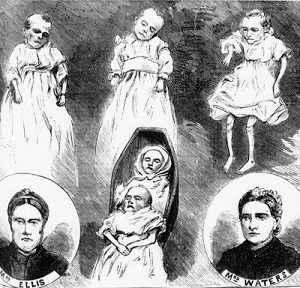 Terrible things happened with children regarding the 19th-century practice of baby farms. Although most baby farms were similar to what we call family day care, thousands of babies died at the hands of women and men who offered to care for unwanted infants and help mothers find homes for their newborns in exchange for a fee. Many of their clients were unwed mothers, prostitutes, or deserted wives who needed help with their children while they worked for wages. These baby farmers made money off desperate mothers, they killed babies, sold them off, and even held them for ransom. Chicago’s baby farms were an extortion business run by doctors. The daughters of the wealthy were victimized as much as their babies. Unmarried girls went to these baby farms to give birth to their illegitimate babies. 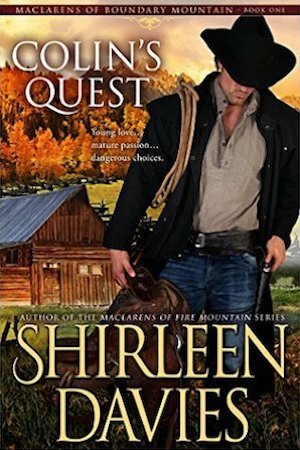 Afterward, the babies were kept at the farms, and the girls’ families had to pay a hefty price for their upkeep. If the girls or their families threatened to go to the police, the doctors would threaten to expose the illegitimate birth, which would ruin the young woman for marriage. Child-rearing practices among African Americans had roots in their traditional customs; motherhood, however, took on two unique characteristics for enslaved women in the United States, First, in traditional African societies, many women raised children without help from the Fathers. The women managed with the help of other women. Many American slave women parented without a spouse because slave-owners often sold men separately. The slave mothers’ children were held fast by punishments, sales, or threats of those things. Children born to men and women owned by different persons became the property of the mother’s owner. It was hard to raise children under the adverse conditions of slavery. The mothers were often too burdened and tired from picking tobacco or cotton to indulge their children, yet most continued to do all they could to make their kids feel wanted and loved. 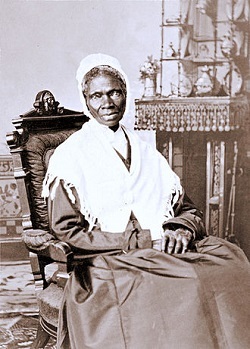 In 1826, Sojourner Truth and her baby daughter escaped slavery in Ulster County, New York. When she learned that her 5-year-old son, Peter, was illegally sold to a man in Alabama, she raised money for a lawyer, filed a complaint in court, and won her case. She successfully sued a white man in court and got Peter out of slavery. Truth became a preacher in New York City and toured the northeast, speaking about the Bible, abolition, and women’s suffrage. 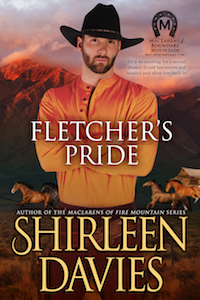 Fletcher’s Pride, my latest book in the MacLarens of Boundary Mountain series, has a sub-plot involving single mothers in the frontier west. 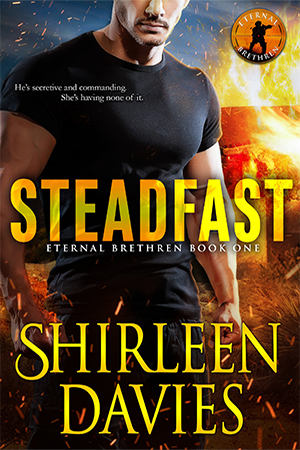 Book eight in the series releases on September 27. There are so many interesting stories about single/widowed women in the 19th and 20th centuries. Your great grandmother sounds like a very interesting woman! What a heart-breaking story. It’s amazing how the attitude toward single mothers continued for such a long time. It’s a blessing you were able to reunite with your son! Thank you for sharing, Margaret.